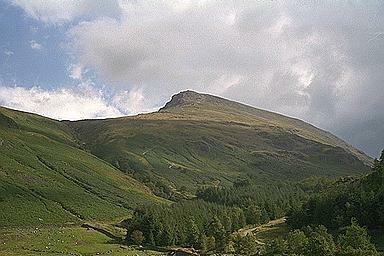 The path can be seen on the right-hand bank of Helvellyn Gill wending its way up to Browncove Crags. From the top there is a further climb of about 500 feet to the top of Helvellyn. Larger version of this picture.